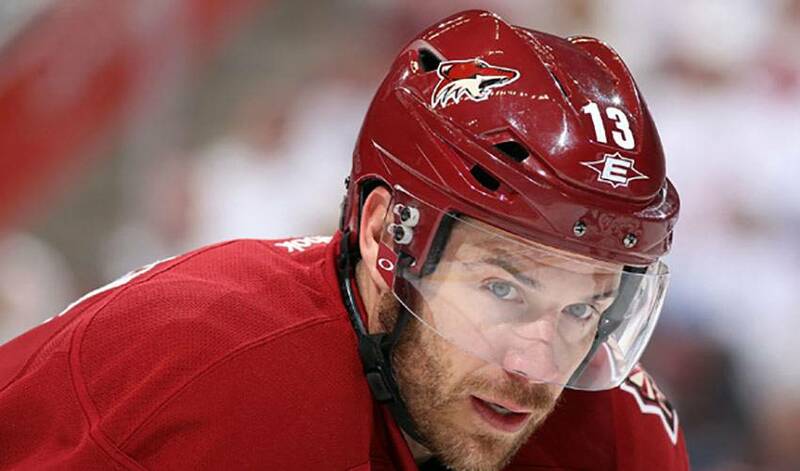 Ray Whitney, Phoenix's savvy veteran, has shown he can do plenty with the puck over his distinguished NHL career and after nearly 20 years, he's never looked better. If he had ever listened to his critics, hung his head after being bought out of a contract (twice), being put on waivers, or wondering if he had the size to be impactful at hockey's highest level, Whitney wouldn't have lasted half as long as he has. But now, on the cusp of reaching 1,000 points and nearly 1,200 regular season games, the Coyotes' consistent contributor is doing just fine, thank you very much. Did the forward, known for his quick shot and quick wit, ever think he'd reach the four-digit mark in points? His accomplishments, however, are anything but humble. He entered 2011-12 having appeared in 1,147 regular season games and 87 playoff contests. The Fort Saskatchewan, Alberta native had scored 342 goals, along with 926 points. Underrated is a term that has oft been associated with Whitney, one of only 31 players in NHL history to record an overtime game-winner in a seventh game in the playoffs, which he accomplished in 1995 against the Calgary Flames while with San Jose. Yet, Whitney, who had 15 points for the Hurricanes during their championship run, is far from underappreciated or overlooked by his teammates. He's already surpassed his point totals of the past two campaigns, as the Coyotes, coming off a fantastic February, are in a fight for the Pacific Division crown and a chance to secure home ice advantage in the opening round of the playoffs. Whitney, who has already reached the 20-goal plateau, is adamant Phoenix isn't dealing with any overconfidence issues as they prepare for the regular season stretch drive. Unbeaten in regulation (11-0-1) in February, along with six, one-goal wins, giving up one or less goals in eight of the games, Phoenix showed their mettle, climbing back from multiple goal deficits on some occasions. The two-time (2000 and 2003) All-Star participant and player who once recorded 235 points in 71 games for Fort Saskatchewan of the Alberta Major Bantam Hockey League is up for the challenge.